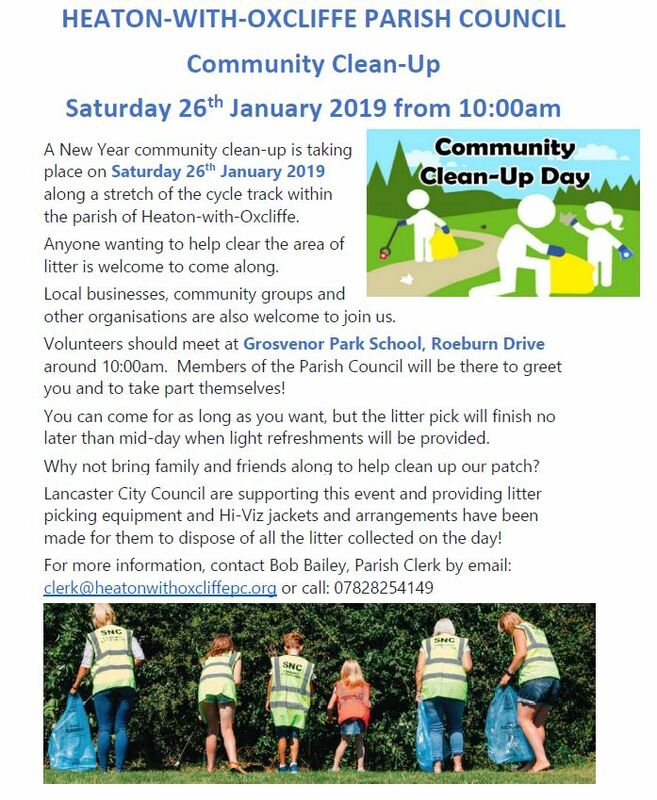 The parish council with support from Lancaster City Council is carrying out a community clean up of Saturday 26th January from 10am. Meet at Grosvenor Park School and help us to take pride in where we live. The pick will be no more than 2 hours and refreshments will be available. We hope to see you there!